The following is one of three interviews included in our December/January issue – on newsstands from November 23. We also spoke with Justus Hammer, CMO and co-founderof Spreets, and Mark Phibbs, senior director of marketing, APAC, at Adobe. We discussed their views on today’s graduates and education offerings. Hammer discussed his predictions for the group buying space and Phibbs his views on brands as publishers and cross-channel content. John Curtin is one of those rare people who is both exceptionally talented at his day job and egoless about it. It’s refreshing. Curtin is the marketing manager at Totem Onelove group, purveyors of such events as Stereosonic (Australia’s largest music festival by patron count) and Creamfields. It’s a definite winner as barbecue conversations go. His education in marketing began before he realised it was happening. From 15, Curtin began organising underage events across Melbourne, taking care of – among other things – promotions and sales. His practical exposure began gaining a theoretical grounding around the same time, and for this he credits his parents moving him from a traditional educational institute to a more progressive school, allowing him to take vocational subjects like business management. The logical progression seemed to be a tertiary education in marketing, which he began at Swinburne University of Technology, but his itchy feet and a desire to get his hands dirty drove him to drop out, travel and set up a company doing what he knew: organising various nightlife events around Melbourne. This led him down a path believing hospitality management was his calling and so he briefly enrolled at La Trobe University. Curtin now credits these ‘false starts’ with teaching him the elbow grease side of his industry and believes they’ve been intrinsic to his success. Next was opening his own venue, called Room, at the age of 25. He handled the marketing side, but was also exposed to everything from securing investors to dealing with local council. He admits it was partially a ‘right place, right time’ situation, as the falling cost of flights drove international acts to Australia. Four years later, Curtin realised that being in a venue four nights a week was not something he wanted to sustain for the rest of his life. Noticing the proliferation of festivals in Australia at the time, the seed was planted for a marketing agency focused on the space. But Curtin continued consulting work in the industry and through this came to understand that although he understood the sales and promotions side of his discipline, there were facets of his education missing. On the advice of a family member, he took the plunge and went back to university at 28. He chose to leave his native Melbourne for the Gold Coast and Bond University – largely because it allowed him to study three semesters annually, instead of the usual two. This would prove a serendipitous selection. “Because of the amount of American students [Bond] had, it was one of the first universities in Australia to actually adopt Facebook. So suddenly I was like, you know, ‘Here’s Facebook’. “And with social media for me, the really interesting thing is that a lot of the stuff that we do in terms of hiring staff and having promotional people out and inviting friends to events and having large databases and actually being able to access them and grouping people into likes of music or likes of what festivals they like to go to… suddenly it was just right in front of me. Curtin says the best result for him as a marketer has been his audience now pencilling in the event on their social calendar, à la other demographics’ attitude toward the Melbourne Cup or that last week in September. Can you comment on how much you spend on Facebook, or what percentage of the promotions budget it represents? In terms of percentage budget, probably about five percent. But then we do dedicate a lot of time in terms of our content being updated across Facebook and we have staff dedicated to actually writing content. We’re actually now doing our own in-house interviews because… we really have moved away from printed press in terms of street press. We’re now doing things like Fashion Journal. We’re doing a lot. Everything is online. We did a tram with APN, which was great. And then we’re doing a lot with billboards and all sorts of different things. And you know, we spend a fair amount of money on Facebook, but the return is out of control. You know, for last year we had 592,000 visitors to stereosonic.com.au for our campaign, which was a four-month campaign: which is OK, good for a festival. But over 10 percent of it came through Facebook. 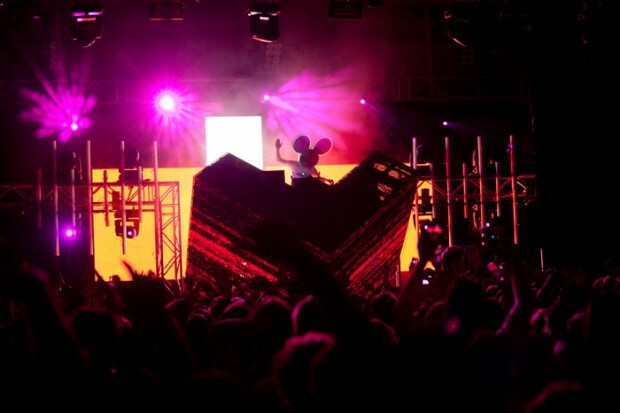 And then the closest competitor was one of our major acts, and he was Tiësto, and he was three percent. Moving away from street press, is that a result of your market’s media consumption habits changing or is that a flood of street press titles? Is it both? Look, we’re not 100 percent pulling back on the street press, but we have greatly reduced it. Especially in Melbourne and Sydney, we were doing an ad every week. We’re probably going to do maybe an ad every six weeks. My concern, and it kind of goes back to what people are doing and where people are living, is that there’s not necessarily the traditional places [they visit], even Chapel Street [in Melbourne’s South Yarra]. If you walk down Chapel Street now, there are 15 to 20 prime sites that are for lease. [My concern is whether people are] actually going to go into a store and pick up a copy of Beat when they can actually be told online. We can put a billboard in key spots, whether it be train stations when people are going into work… we can match our postcode data from our Moshtix sales, so we can actually pick out the best suburbs for sales and we will hit them with posters and billboards and everything. We’ll also hit suburbs [where] we think people should actually be buying tickets and we just wonder why they’re not. So you know, with street press, the hard thing about it for us is just the price. We’ve got some great deals with billboards and we can get the reporting available to us with online. But to take it to the directors and do a presentation and say, ‘Hey, this is our referrals directly from Inthemix, directly from Facebook, directly from Pedestrian, directly from…’ – you know any different site. When [it comes to street press] we sort of just hope and pray. We’re doing some really interesting things, like we’ve got a co-branded sponsorship with Nova coming up. So Strongbow, which is one of our major partners, will be sponsoring the event, but then also doing pre-awareness at bottle shops and at venues for the actual event. 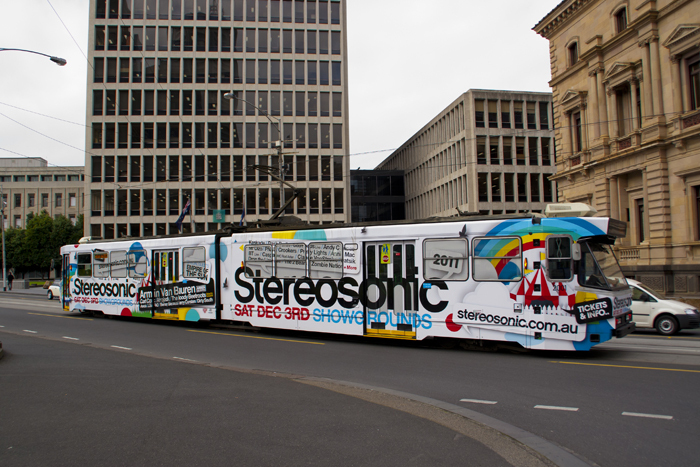 You can win tickets to Stereosonic as a prize. But then they’re also doing a photo competition with Nova, so Nova will be actually promoting the radio campaign. Then you can win tickets to Stereosonic and then you can also be the Stereosonic official photographer where you win $1000, upload your photos to Facebook and all sorts of different things. So it’s a really cool competition, but it kind of shows where we’re going as a brand, in the sense that we can actually co-run or co-own an event with Nova, co-own a promotion with Nova. And then Nova will support us in terms of advertising and all sorts of different things. It’s good and I think that it’s really interesting. You can’t get an answer with radio ratings and I’m very critical. Some of our state partners sent me through emails saying, “Look, Nova has dropped by four percent, and Triple J has gone up by two percent” and stuff like that. And looking at Commercial Radio Australia, it’s very hard when you get given a diary of what you’re actually listening to. And then also there are only 75 people per age group that are actually being tested. So say, for example, you know it’s a natural reaction to say, “What did you listen to today?” And I know a lot of people listen to Hamish and Andy when they are on, but people might just go, “Hamish and Andy”. And just tick, tick, tick. It’s only 75 people. So you only need five people to actually say, “Hey, I didn’t watch this show” or something and you’ve got a drop of five, 10 percent. So it’s really interesting, I guess. And the reporting to us is a really important thing and it’s only the basic stuff. We’re not doing Nielsen or anything like that. We’re a small to medium enterprise that does things like Google Analytics and all sorts of different things like that. On the radio front, the solution really is digital radio. But in the interim how are you managing? Is it gut feel? Yes, it’s a gut feel in the sense that a lot of our artists are being played on Nova. We had and we’re always seeking out different options. I guess it’s just the music that’s being played and the gut feel and the right rate for us. And we’re just looking at listening to what people are actually saying, and speaking to our promoters. We do a lot of market research with our promoters. I don’t really like to actually put market research out to the full general public because I feel… it’s the actual youth brand that’s meant to be calling the shots and trying to push trends and bring new artists in and try different experiences. If they’re asking the general public for questions, is it who’s following who? But then also – and this is working from anything from a small bar that I’ve worked in before through to large nightclubs or actually even looking at other brands, like fast-moving consumer goods – sometimes I think that people do need to have a five-year plan and think, ‘Just because we’re at the top of the game now, it doesn’t mean we are going to be in a year’s time’. And by stopping advertising or by stopping marketing or by cutting staff, you do run the risk of that actually happening. OK, you may actually make an extra profit for one year of $100,000, but it drops off… Instead of removing the marketing budget completely or reducing the marketing budget the actual vision [in here] is to create more events, market more, spend the same amount of money, which I was actually quite surprised about to tell you the truth. And now, we are dealing a lot with radio stations in terms of actual partner promotions that aren’t costing us money. It’s really good. And then going back to Sound Alliance, Channel V, Nova, Inthemix and Mag magazine – which is the JB Hi-Fi magazine – they’re our four partners for Stereosonic. And we don’t just put a media partnership together and say, “I hope that these guys, you know, work closely with us.” We do sit down with them and say, “What can you do? What can we do?” And then we want to try and work together. And we see a big result from Inthemix. It’s a dance music sort of bible I guess, but it’s now becoming more of a lifestyle sort of thing, where people can look at travelling overseas and it’s a very trend-driven site. And to get a media company like Sound Alliance or Nova or Channel V to actually push our product and want to align with it, I think that for the consumers they look at it and go, “Wow, this is fantastic”. You’re one of the very few senior marketing people in Australia who are active in social channels. You’ve mentioned you had that very serendipitous exposure at Bond University. But was it chicken or egg? Were you involved in that socially or was it, ‘I see the marketing potential here. I need to understand this’? A bit of both… I guess I saw the marketing opportunity and really ran with it. But on a personal level, I just love being able to keep in contact with people. I can’t call 15 people a night and say, “What’s happening?” But then I had to laugh at a wedding I was at, Christmas time last year. I hadn’t seen a friend for about two or three years and she sat me down and said, “Your Bali photos looked amazing. This is happening with work, and da da da.” I was [thinking], ‘Wow, you haven’t seen me in three years and know what’s happening, that’s great.’ So yes, it’s good and I think that also we’re pretty proactive in actually learning and actually listening, reading Marketing magazine and Mashables and following the right people on Twitter and sharing articles within the whole group, because there are 15 people in this office, but we’ve got five to 10 people in each of the states. They’re the state partners. And then we’ve got probably 100 kids that actually hand out flyers for our events. So we keep an eye on all of that. And then just through purely being active, we’ve got a pretty good relationship with Facebook as well. So we keep in contact with them and run promotional ideas by them. And in the last three months, they’ve really decided to move the Asia headquarters to Singapore… So you can see Singapore is going to become the next hub. It’s great because, although it’s not a daily conversation, if we do need ideas or if we want to make sure the promotions are correct because pages are getting deleted [for example], it’s great to have a link with Facebook. I think that that’s one thing that MySpace has never had. You just couldn’t get in contact with anyone. You know you wanted to do something and it just couldn’t happen. From Onelove’s usage, would it be fair to say that you see YouTube and Facebook as the broadcast platforms, and Twitter as a platform to reach influencers? To reach influencers and then also I think that probably a lot of the savvy people are using Twitter. A lot of the artists are very driven towards Twitter, because it’s too hard to interact with a Facebook page. Suddenly you’ve got a rival or someone that just doesn’t like your music coming in and attacking you on all sorts of different things. It’s a lot more controlled in Twitter. You can literally just close someone off or [you] don’t have to reply to them… So for the artists it’s really good. And then also with Twitter you’ve got a lot of great media. I just love Twitter because I don’t like signing up to 10,000 email newsletters. But I’ve got some private groups that I’ve categorised all my favourite things to read and I can just click on that and pick out the articles that I want. You bring up the AFL consistently. That’s your big competitor. That’s your white whale, is it? No, no, it’s not, no. I just think that in Melbourne especially, it’s a sport that is so entrenched in what people do. There is the comparison with live music versus AFL. I don’t think that the State Government gives enough credence to live music and events. It brings a lot of people into Australia – a lot of people, tourists etc. Our number one selling postcode for New South Wales is Bondi and our number one selling postcode for Melbourne is St Kilda. We have a lot of people that sell hand-to-hand tickets in Bondi and St Kilda, so that doesn’t include these people. No one lives in St Kilda that can’t get a ticket from one of our hand-to-hand promoters, that’s actually discounted. The reason it works is that it’s backpackers. We can look at our credit cards and we have a lot of people that are coming from overseas that are coming to our events. The reason I was just comparing it with [AFL] is that I personally think that Melbourne City Council and State Government don’t actually support bona fide large events and they need to. Not in terms of logistical stuff, they’re great [at that], but in terms of promotions. You know – doing a Lion Festival or doing some City Square sort of promotion or something that may not necessarily gel with an 18 to 25-year-old market.